Slovenian Weekend is already a traditional manifestation for Labor day in Biograd na Moru. Come and enjoy your pre-season holiday from 27.04. till 05.05.2019. This year’s Labor day on 1st of May sets perfectly on Wednesday which is great opportunity to have a long weekend vacation. Biograd is definitely a place to be on those days. 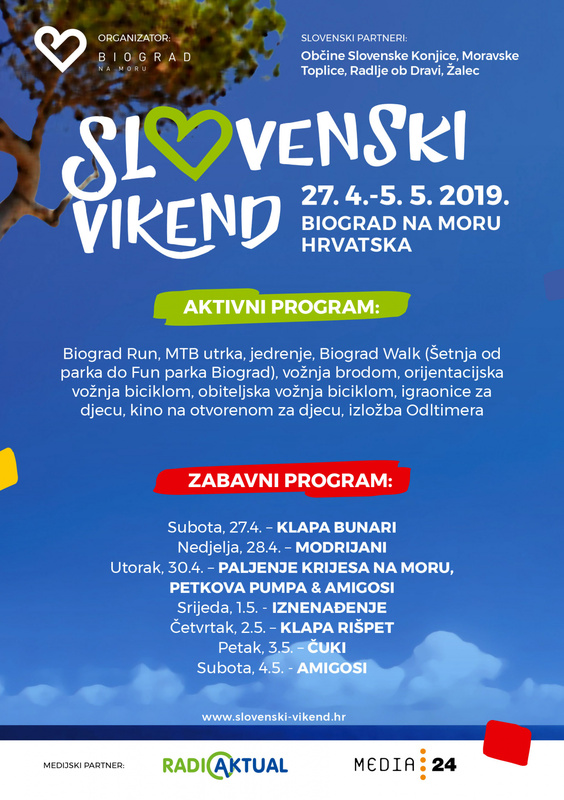 Tourist board of city Biograd organizes Slovenian Weekend and it is already a traditional manifestation worth attending. Center point of this manifestation is active way of vacation and connecting to your family through many organized activities. 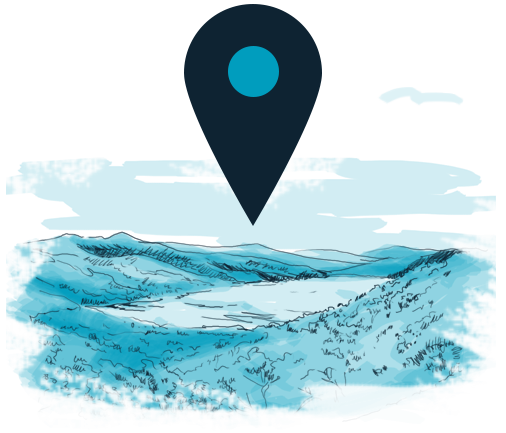 Although the emphasis is on Slovenian guests, the event is intended for those who want to briefly escape from work and busy lifestyle to engage in activities and at the same time have some fun. Active program offers a regatta of the Pašman Channel, the race on the streets of Biograd, a recreational walk from the park to the fun park "Biograd", family biking and the recreational MTB marathon around Vransko Lake. Amusement program for this year is very rich. Many popular groups and singers will be preforming during this long weekend. Among the Croatian performers will be the Pravila Igre, Zsa Zsa, Mia Dimšić and Amigosi, and the Slovenian represents will be Modrijani, Petkova Pumpa and Čuki. There will also be many other activities considering children and food tastings so make sure to be there. For those who are looking an accommodation away from city crowds, especially during this Slovenian Weekend in Biograd, we can offer you beautiful mobile homes in our camp on the lake shore, in Nature park Vransko lake. It is only a few minutes away from Biograd so you can stay included in all the planned activities during the day and also in the evening. Be sure to visit Slovenian Weekend and spend it with your family and friends!